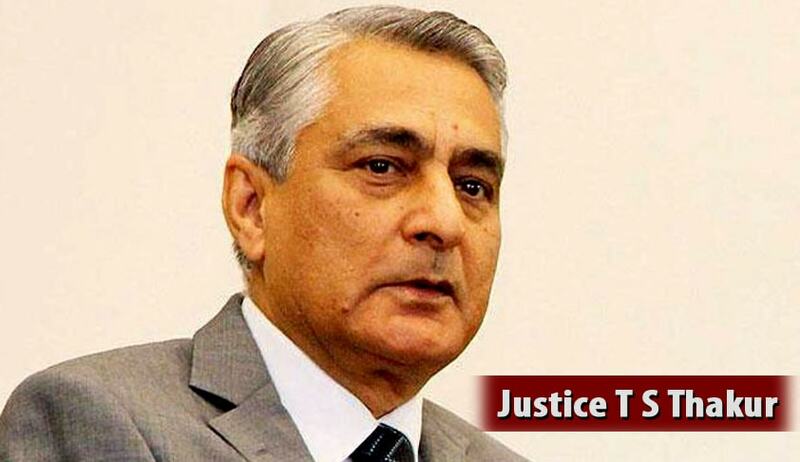 Chief Justice (CJI) T.S. Thakur on Saturday said the real challenge before the judiciary is to address “chronic cases which remain festering in the courts”. He opined that disposal of smaller cases was like “cleaning the house of garbage littered around”. “There is an ever-increasing number of cases in courts. But then, the fact that you are conscious of it and you are sensitive to it, and you are gearing for it, is what is encouraging. So, we will overcome all the challenges and difficulties that may otherwise exist,” he was quoted as saying. The CJI was on a two-day visit to Gujarat, inaugurating a new auditorium on the premises of the Gujarat High Court. Addressing the gathering, he recalled that when he was the Chief Justice of Punjab and Haryana, he held Lok Adalats throughout the two states and disposed of 14 lakh cases. This, he said, was commenced by asking the judges in the two states to provide particulars of 200 oldest civil and criminal cases. The judges were then directed to clear these cases, and were given additional weightage by bringing them under the unit system. The initiative resulted in the disposal of 5,500 of the oldest civil and criminal cases within six months, he claimed.